Mrs. Schwab and Mrs. Gesner taught a lesson in June 2014 to Mrs. Gesner’s 2nd Grade class on Respectful recess skills. 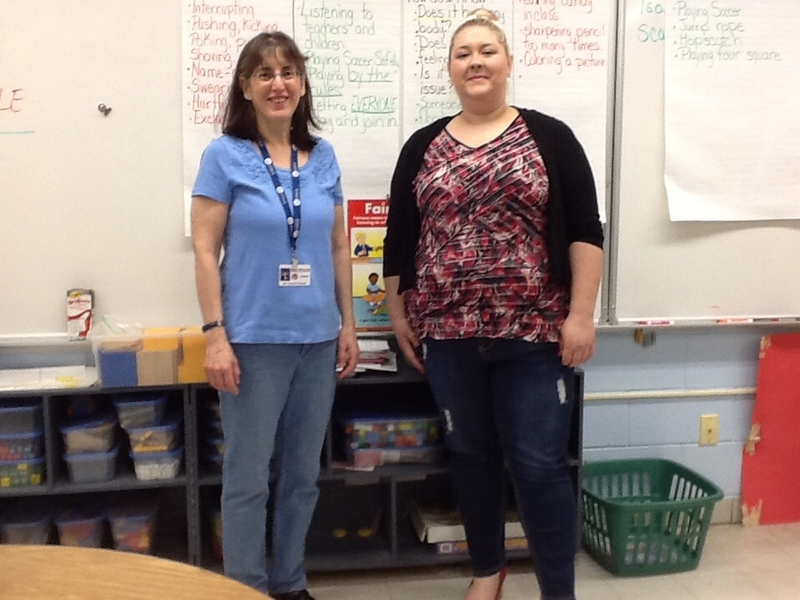 Mrs. Schwab and Mrs. Gesner taught the class about playing fair and having compassion for others, which means asking a child who is alone to play in the game. This is called including others. They also taught the students when to get help from a teacher – if a child is hurting feelings, bodies, or belongings. This is called reporting /telling. 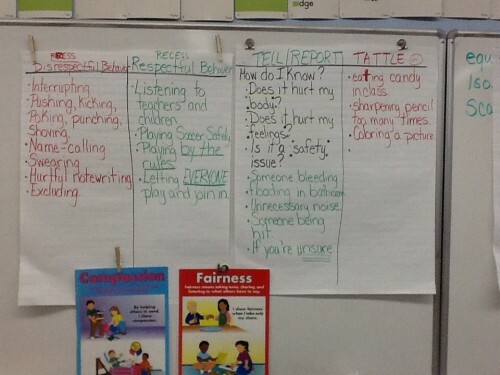 On the other hand, tattling is when a child is not hurting feelings, body, or belongings, such as telling the teacher when a student is eating candy when they aren’t supposed to be eating candy, or telling the teacher that a student is coloring instead of doing their spelling paper. Those issues are the teacher’s job to talk to address with students. 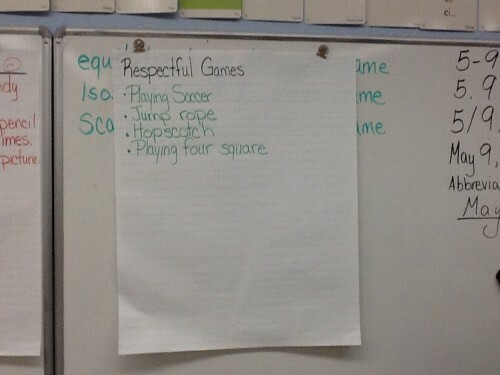 Respectful games brainstorm anchor chart by Mrs. Gesner’s students. Mrs. Schwab plays a ball toss game with Mrs. Gesner’s class, to practice respectful recess skills. 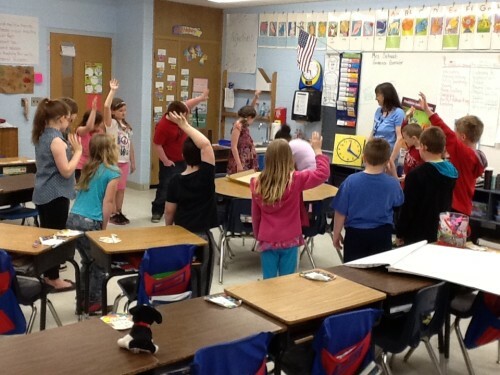 The children also practiced keeping a respectful distance from each other, which Mrs. Schwab and Mrs. Gesner call “bubble space.” Mrs. Schwab loves teaching with Mrs. Gesner!